Are your habanero peppers ripe and ready to pick? Knowing when they are ripe is key to enjoying a full harvest. There are so many different types of peppers, but you can still follow some general rules for knowing when it is time to pick your peppers. 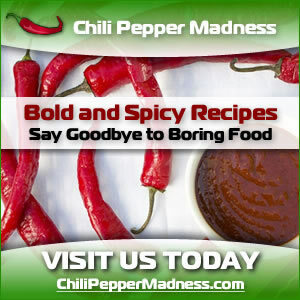 Habanero peppers typically turn bright orange or red when fully mature. They are 1 to 2.5 inches long and get hotter as they mature to their final orange or red color. Use a knife or garden clippers to remove peppers from the plant to prevent any damage to the plant. 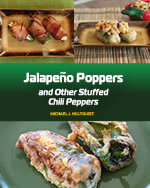 You'll also want to consider protecting your hands when picking hot peppers. The oils can irritate sensitive skin and you'll also want to be sure to wash your hands before touching your face or your eyes so any residual pepper oil doesn't burn your eyes. You'll also want to make sure to harvest habanero peppers when the plants are dry to avoid inadvertently spreading disease. This is important to remember even if you can't see any signs of disease. When peppers are done growing they will pull off the plant very easily. If they don't come off easily they are still growing. Sometimes tiny brown lines will form on the peppers. These are growth lines and indicate the pepper is done growing. If these lines are forming, pick the pepper regardless of it's size. If for any reason a pepper is picked before it is ripe, you can place it on a south-facing windowsill until it is changes to the proper color and ripens. The more habanero peppers you pick the more will harvest so pick peppers often as soon as they are ripe to continue your harvest growing. I’d suggest picking every pepper prior to any freeze risk or prior to it getting around 35 degrees at night. If the temperature drops lower than this the plant will die and the peppers will shrivel and die. Tomatoes are only slightly different. Most of the tomatoes can still be picked even after the plant has died. Then they can finish ripening on the window sill in the sun. 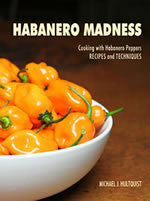 For information on Preserving Your Habanero Harvest, click here.